Safesource Systems and Data Services (SDS) was originally known as Strategic Deltascribe Solutions and is a registered Software Services and BPO company established in 2004. Focusing much on demand solutions, SDS has empowered their team in the vital operation and execution of BPO services, Software Development & Web Designing with dynamic categories. With its inception in 2004, Safesource has carefully developed and conceptualized its operations methodology to cater customized needs with a cost-effective approach. We have successfully blended ethics and principles with our innate talents and reliability, to establish long-term relationships with our clients, and this helped us to carve a niche as well as a reputed Business Process Outsourcing company. Catering to clients with flexibility, cost-effectiveness and a customized approach, Safesource has nurtured, trained and developed a skilled team to offer efficacy and effective solutions. Delivering with quick turnaround time, the company has fostered the principles of continuously exploring new avenues to upgrade and fortify their services. Safesource launched Software Services in the year 2011 to offer intricate and quality software services for their global clients. Accelerating expertise with experience, SDS has made a benchmark for itself by empowering their skill and focusing on custom software development, maintenance and testing. As a recognized powerhouse of excellence and motivation Safesource team already tied a close relationship with its clients. SDS has major plans for expansion via pipelining the efficacious effectiveness of production processes, versatility of resources allocation, professional customer relations and accurate communications. 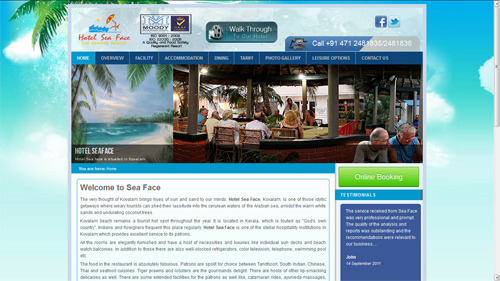 This is a screenshot from our homepage design of seaface.com.